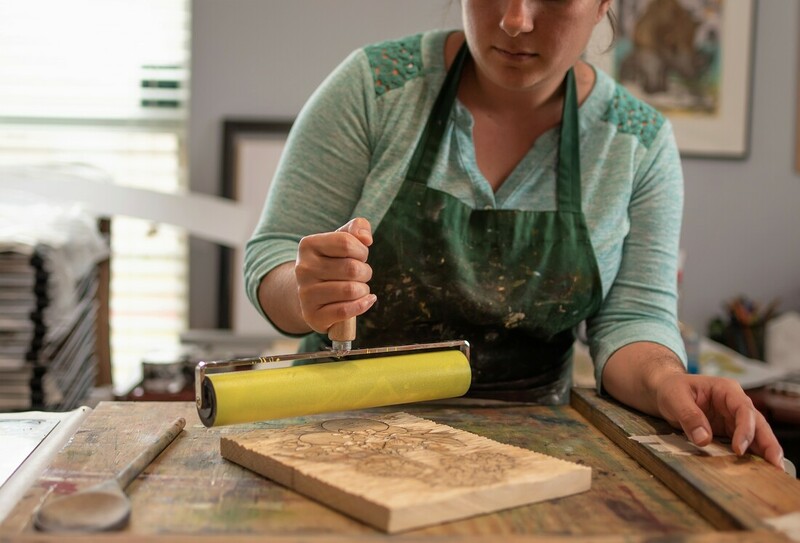 I'm Kristina, the artist and printmaker behind Kristina Hoover Fine Art. I've been creating art as long as I can remember; Making art, and creating is what always remained constant in my life. My mom still likes to remind me how I drew on the walls as a child. I started out drawing and painting, and painted a lot throughout high school, and still do on and off to this day. 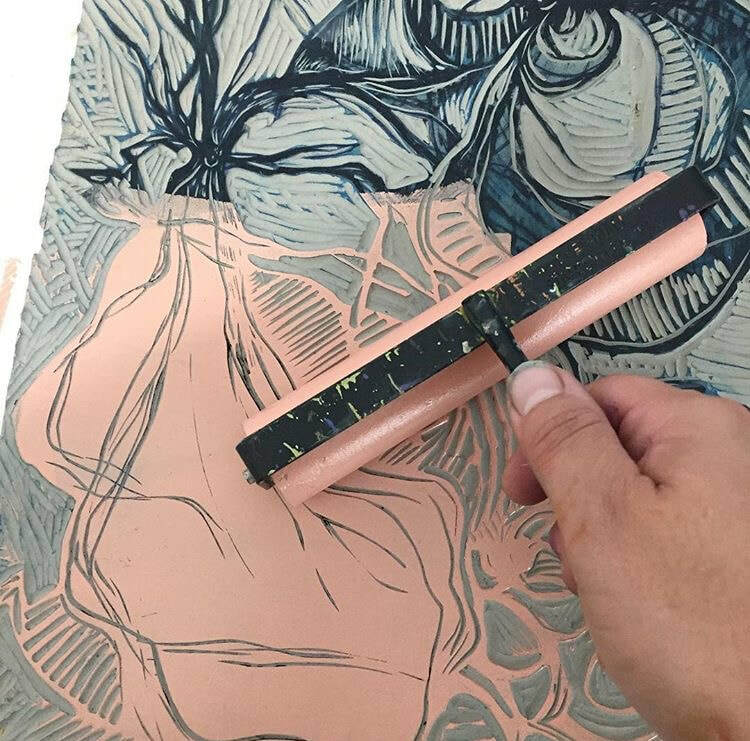 Toward the end of high school I took my first printmaking class, and instantly fell in love! I went on to attended Memphis College of Art, where I received a BFA in printmaking, and Clemson University where I earned my MFA . I still love to paint, but nothing beats the physicality and process of printmaking. I tell people its like creating 2-Dimensional sculpture. During my time in Grad School, I created some of my first woodcuts and really never stopped. I still love working in the relief process, and I'm inspired by life and my surroundings. I'm fond of color and pattern, and try to always incorporate them in my creations- I aim to transform ordinary life into something new and unexpected with my work. I don't consider myself one specific type of artist. I'm not an abstract artist, although I do love working abstract, I'm not a landscape or portrait artist, even though I've made some of those too. I make a little bit of everything, and I just consider myself a printmaker. The creative process has always held an important role in my life, and I love sharing my knowledge and process with others. Art making is many things to me- relaxing, therapeutic, time consuming, but above all its a joyful experience. 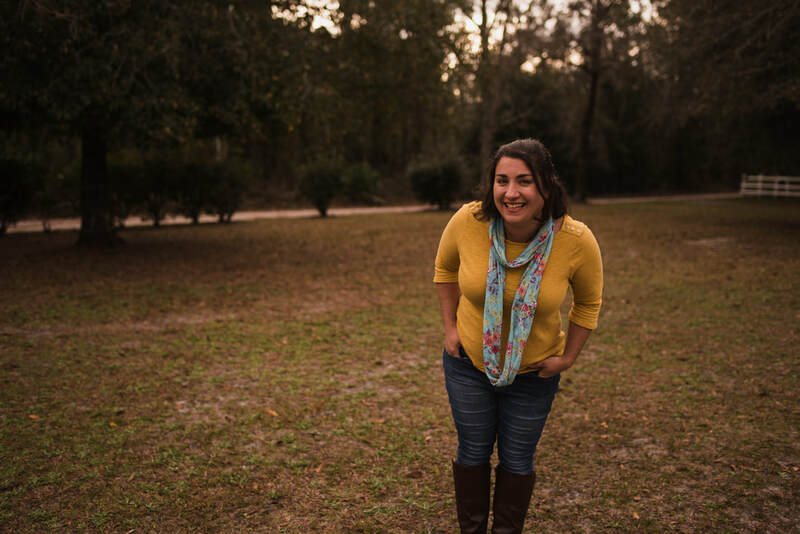 ​Kristina has worked as an Adjunct Professor in South Carolina, teaching Printmaking, 2-D Design, Drawing, and Introduction to Art.